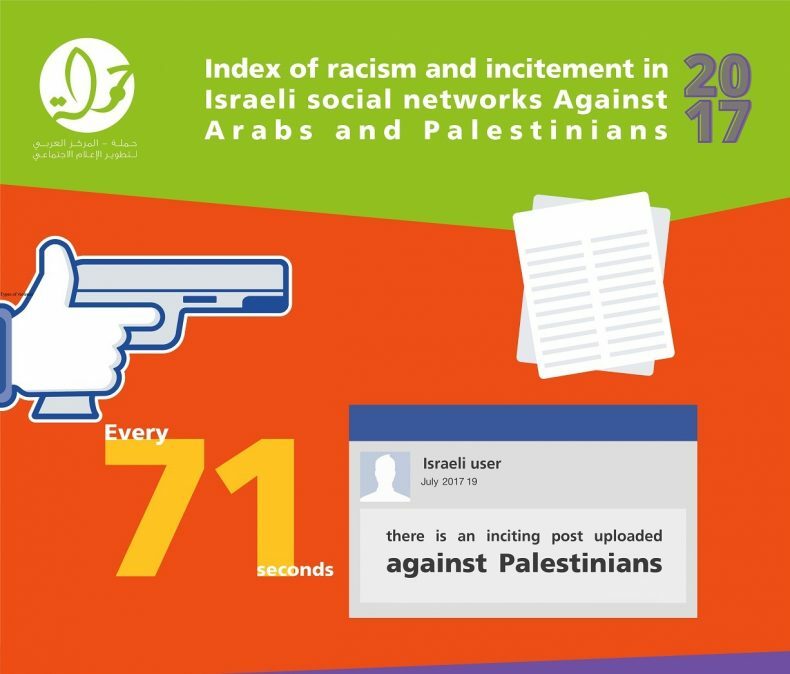 7amleh Center publishes research outlining Israeli incitement and hatred against Palestinians online. 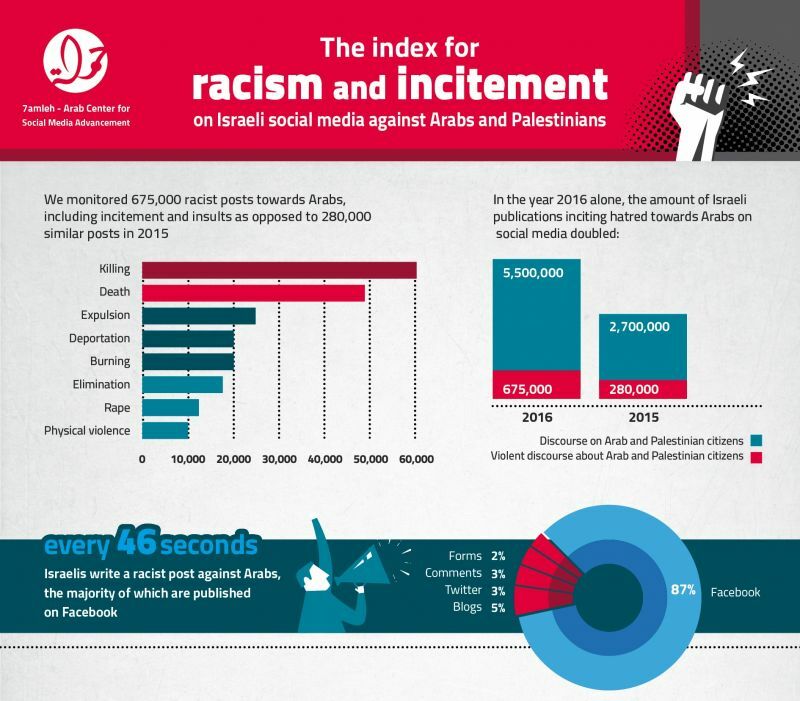 Whilst Facebook intensifies its efforts to suspend, delete and ban Palestinian accounts and pages under the pretext of “incitement”, the social media giant expanded its platform for Israeli incitement, 82% of which takes place on Facebook, according to a recent study conducted by 7amleh. 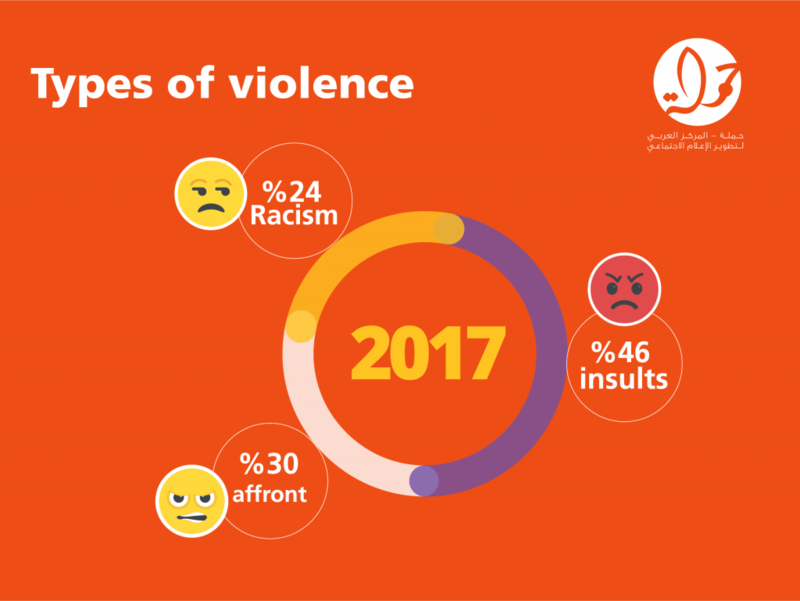 2017 witnessed a rapid upsurge of right wing Israeli Facebook groups and pages that incite against Palestinians, some of which include The Shadow (an extreme right-wing Israeli singer), Roaring for the Right, Against Extreme Leftist Media, Reclaiming Jewish Nationality, Fighting for the Land of Israel and The Lies of the Leftists (all translated from Hebrew) in addition to the rising incitement perpetrated on Facebook pages of mainstream Israeli media. 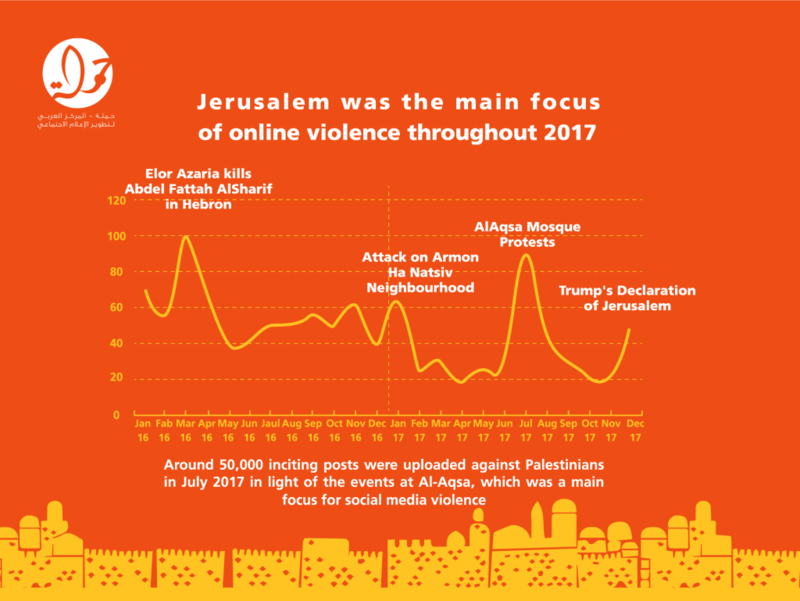 Jerusalem was the main focal point for online violence against Palestinians and the research illustrates that 50,000 inciting posts against Arabs were uploaded in July 2017 alone in light of the events at Al Aqsa mosque and Israel’s attempt to install electronic gates. 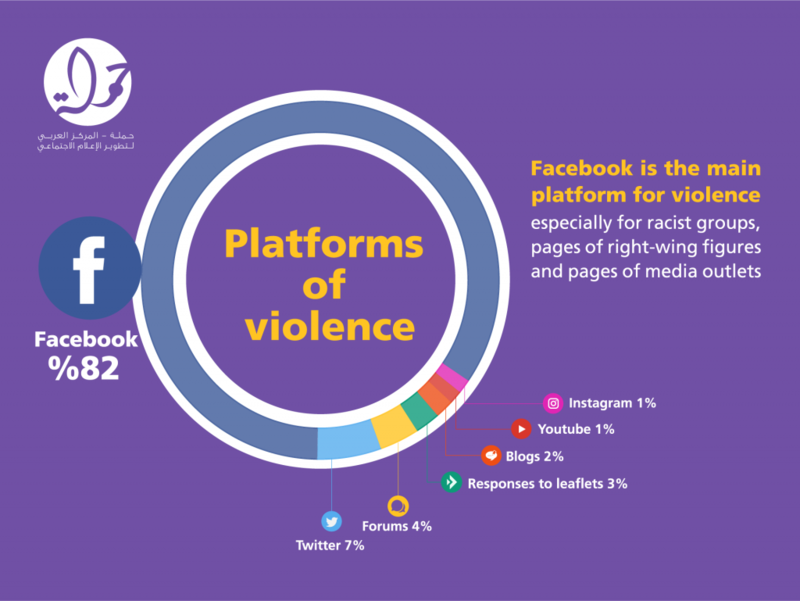 This online violence was mainly directed towards Palestinian politicians, such as Ahmad Tibi and Haneen Zoabi. 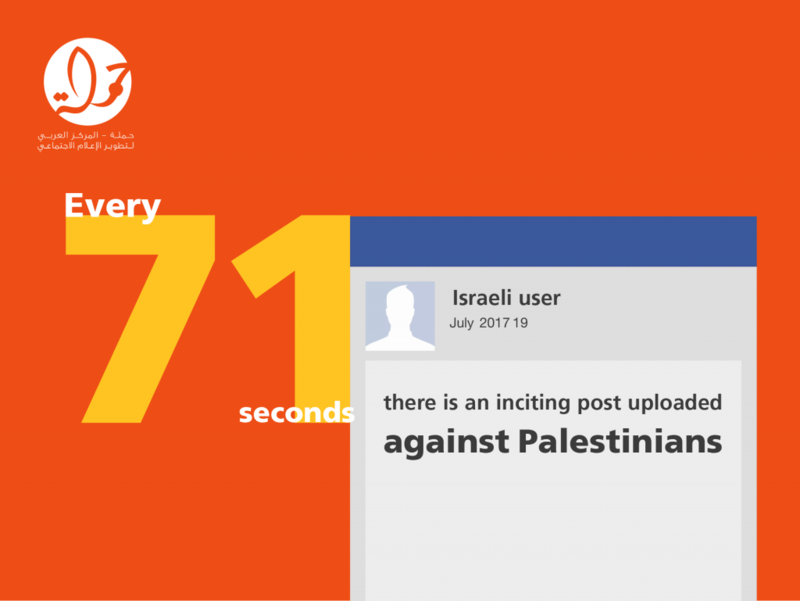 Nadim Nashif, the Executive Director of 7amleh has expressed grave concern at the results of the research, which exposes Facebook’s complicity in perpetuating the double standards of the Israeli government of silencing and shutting down Palestinian content whilst allowing for the spread of Israeli incitement. 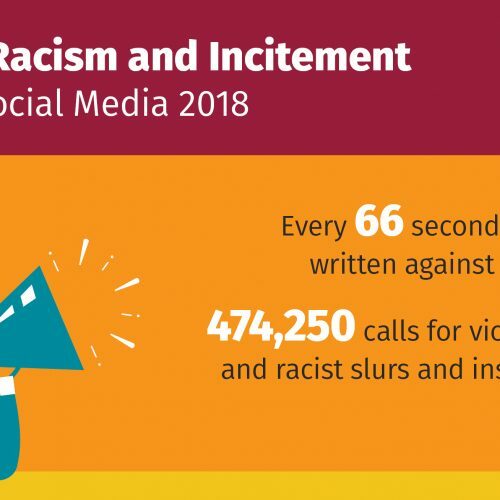 Furthermore, the Israeli government fails to hold any Israeli accountable for online violence while at the same time it jails hundreds of Palestinians based on this unfounded claim of incitement. 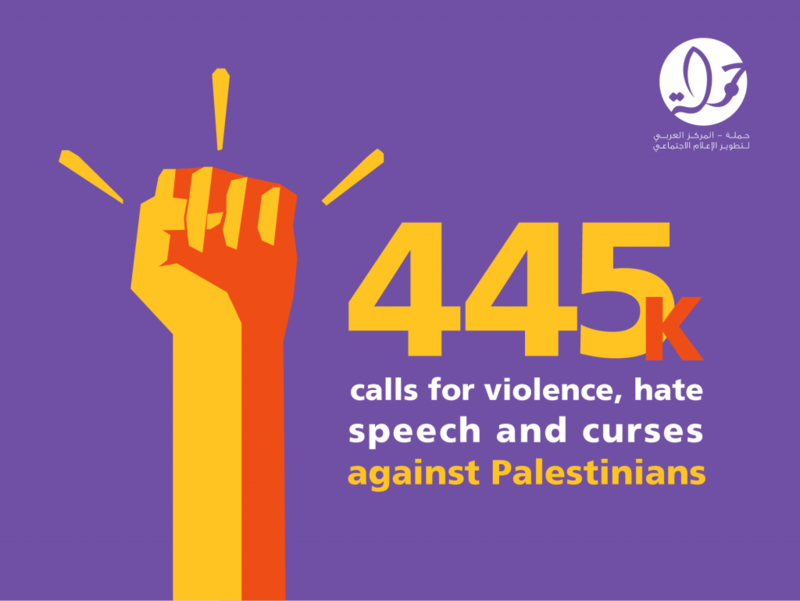 7amleh is the only Palestinian non-governmental organization dedicated to utilizing online resources to empower marginalized Palestinian communities and enhance their capacities in advocacy and raising social awareness. 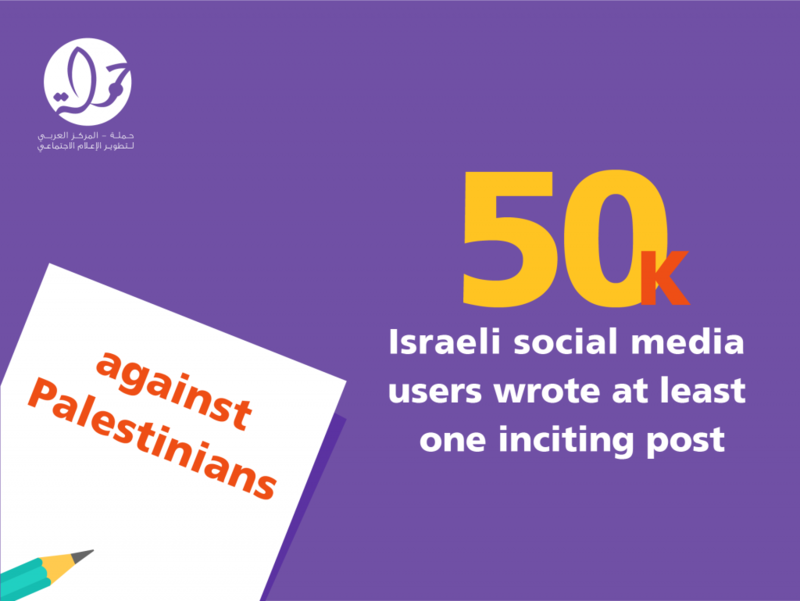 Our values are based on the unwavering belief of freedom of speech, we work to protect the digital rights and freedom of speech for Palestinians. 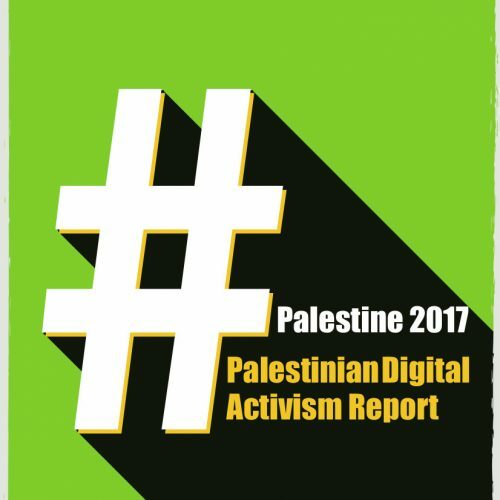 7amleh, through its dynamic and community-based approach, works in response to the subjugation of Palestinian voices and aims to build a Palestinian society that is able to breach geo-political boundaries and use digital platforms en masse to advance the community’s rights and well-being, 7amleh conducted this research in cooperation with Vigo Social Intelligence and Berl Katznelson Foundation.